Cam Chain (82L) brand new replacement. #2 in the diagram. 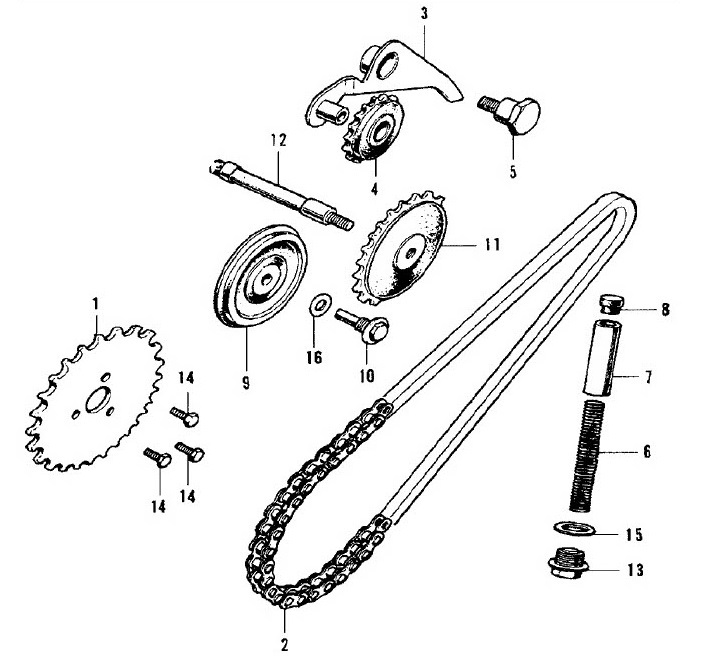 Cam Chain Guide Roller Pin- #10 in the diagram. Will fit most CT70's, Z50's, ATC's- please see full website for all years and vin numbers.